This is a serious disorder in which a part of the intestine slides into an adjacent part of the intestine, (telescoping) thus blocking food or fluid from passing through. This also cuts blood supply to the part of the intestine that is affected, leading to a tear in the bowel, infection and death of bowel tissue. 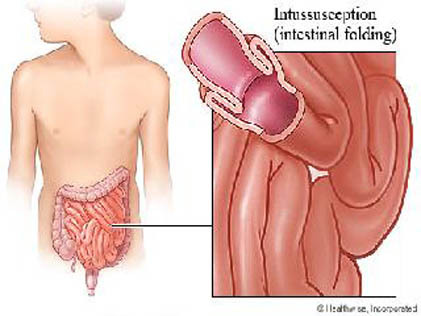 Intussusception is rare in adults hence, the symptoms are often nonspecific. Abdominal pain, nausea, vomiting and diarrhoea are the most common symptoms. If you or your child develops the symptoms listed above, seek medical help immediately!